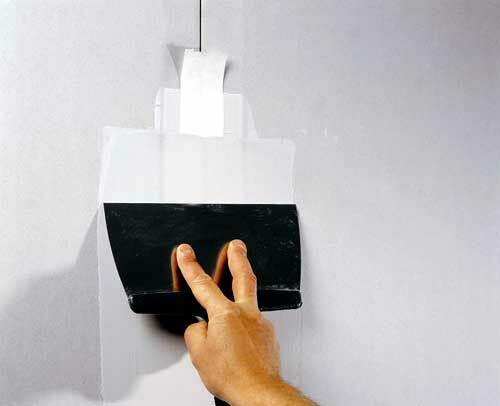 Putty is a paste or dry mixture for application to the surface of the walls. The putty is made from different bases, for example, plaster, cement, linseed oil, into which was further added fillers and pigments. Putty can be made independently. The wood putty. Prepare the white glue and fine sawdust. Get a small container to cook there is a solution. Put in container fill with sawdust and glue. All stir until the consistency of thick cream. Let it dry for 15-20 minutes. Putty ready. On the strength of concrete. Prepare a chalk and drying oil. Remove the containers of small capacity. Mix in the tank chalk and drying oil. All stir until thick sour cream, give it a little bit to set and dry. Putty ready. Putty for painting. Prepare a 15 percent solution of glue, linseed oil, turpentine, soap, chalk, casein paint. Prepare a bowl. Casein paint dilute with water and heat to a temperature of 60 degrees, then strain through a sieve and pour in drying oil, and then soaked in water, chalk, soap, and turpentine. The same filler can be made of a slightly different composition. This is casein paint, use glue on the same basis. First mix dry powder materials: chalk, pigment, soap. And then add liquid materials: casein glue, turpentine, varnish, lacquer. All carefully stir and let stand until viscous consistency. Color pigment for putty pick up depending on the paint, which you will cover the surface below the wall were not spots and stains. To choose the right color and the percentage of pigment in the consistency of putty, apply it on a small section of the wall, let dry and top coat paint.